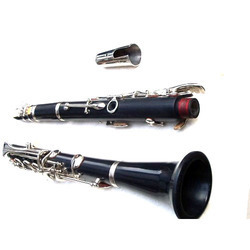 We offer exclusive range of Clarinet Instrument that is remarkable for its modulated sound and pitch. We hold expertise in offering a quality range of Shehnais. When wind is blown through this instrument by the mouth, a rhythmic and melancholic sound is created. Our Banarasi shehnais are professionally played in weddings, processions, temples and ceremonies around northern and western districts. Usage: Army/Police Band Used in Schools, etc. 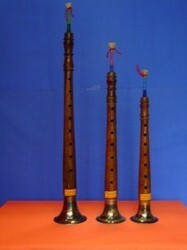 Our company has created a niche in the field of offering Wooden Shehnai Flute.